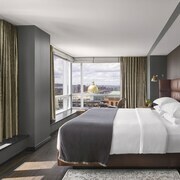 This hotel in Boston's historic Beacon Hill is 2 blocks from Massachusetts General Hospital and a half-mile from Faneuil Hall marketplace. 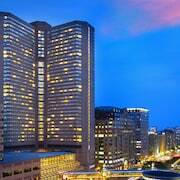 A great stay in Boston would definitely stay at this hotel again central to almost everything. 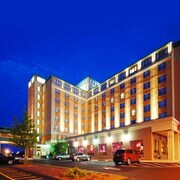 The hotel was wel located to walk to Fenway Park and most of the good shopping areas in Boston. Musts on the Massachusetts South Shore. Opens in a new window. Family road trip to Ogunquit. Opens in a new window. Touring Fenway Park. Opens in a new window. First summer day in Boston. Opens in a new window. Walking around Boston. Opens in a new window. We enjoyed our stay at The Liberty. 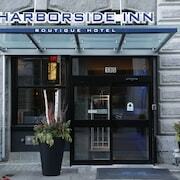 It is a cute hotel within walking distance from shopping and cafes on Charles Street. We were surprised to arrive for check-in Friday night to discover that the lobby area was a night club - crowded and loud music! Apparently that happens every Friday and Saturday. My daughter was happy about that, but we weren't. Lol. Luckily the next morning the lobby was back to normal and we enjoyed a nice quiet breakfast and were able to appreciate the lovely lobby lounge. Good central location. Excessive noise in hallway from loud guests and slamming doors, both late at night and early in the morning. Which hotels are closest to the Boston airport? Can you find accommodation in popular areas of Boston? 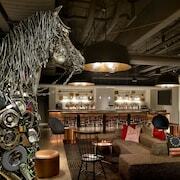 Where to stay near top Boston attractions? What kind of hotels are in Boston? 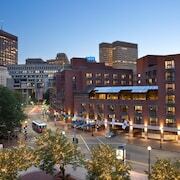 Which hotel chains are in Boston? History buffs will enjoy exploring Boston, and visitors give high marks for the college vibe, fascinating museums, and fun sporting events. Tourists who journey to this vibrant city can discover its theaters, architecture, and local tours. Top sights in the city include Boston Common, Boston Public Garden, and Faneuil Hall Marketplace. The city is well known for its museums and theaters, and cultural venues include USS Constitution Museum, Boston Museum of Fine Arts, and Orpheum Theater. Its historic sites and monuments are notable and landmarks include Boston College, Harvard Square, and Paul Revere House. The city's natural beauty is on display at Boston Common, Boston Public Garden, and Walden Pond. Moroccan Luxury Suites - This 3.5-star bed & breakfast in Charlestown features free breakfast and free WiFi. It's a favorite with Expedia travelers for its room size and location. 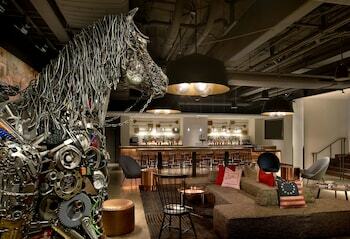 The Merchant - Our customers like the helpful staff and walkable location at this hotel. 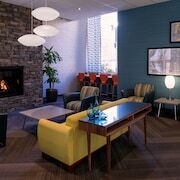 With a stay at this 3-star hotel, guests can enjoy access to free breakfast and free parking, along with an in-room fireplace. 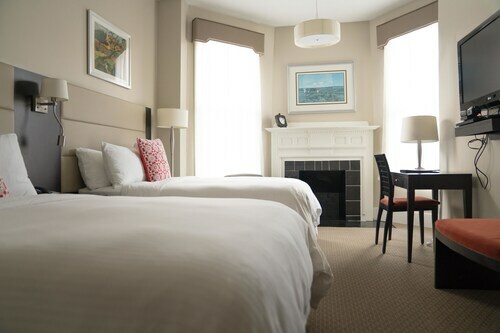 Clarendon Square Bed & Breakfast - Guests who stay at this 4-star bed & breakfast in South End can enjoy access to free breakfast and a spa tub, along with free WiFi. Expedia customers like its quiet location and helpful staff. Other favorite sights in Boston include Faneuil Hall Marketplace, TD Garden, and Copley Place. With so many transportation options, seeing Boston is simple. 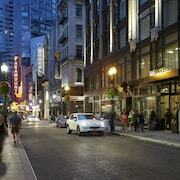 Walk to nearby metro stations like Park St. Station, Downtown Crossing Station, and Government Center Station. If you want to journey outside of the area, ride aboard a train from Boston-South Station, Boston-Back Bay Station, or Boston Yawkey Station. Thank goodness the British abandoned Boston back in 1776. If they hadn’t, there might not be a Union Oyster House, a Boston Garden, or a beer company with an American revolutionary as its mascot. Today, Boston is one of America’s coolest cities and should be next on your list of go-to holiday destinations. Especially when you get a look at our cheap deals on accommodation in Boston. This city is steeped in American history, and we have phenomenal deals on Boston accommodation near some of the most historic sites. Take a self-guided walking tour along the Freedom Trail where you’ll pass by places like the Paul Revere House and the Bunker Hill Monument. When lunch time arrives, head to nearby Charlestown for a lobster roll and a cold beer at Warren Tavern. 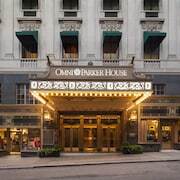 You can even be a part of history yourself when you book a room in one of Boston’s historic hotels. Hey, we understand if you don’t feel like taking out a bank loan to afford a place to stay. There are more than a few cheap hotels in Boston to call home for a few days. Keep your pockets flushed with cash so you can eat your way through the North End and sit behind the dugout at Fenway Park. Just be sure you root for the Red Sox. Boston is jam-packed with incredible things to do and see. Want to visit the world’s oldest commissioned naval vessel still afloat? Make your way to the USS Constitution in Boston Harbor and wander its decks. After trying out your sea legs, head over to Boston Common. Spread out a blanket and enjoy an afternoon picnic. See, we told there was heaps of fun stuff to do. 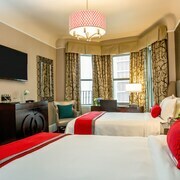 What are the most popular hotels in Boston? 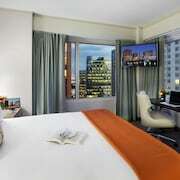 Are there hotels in cities near Boston? 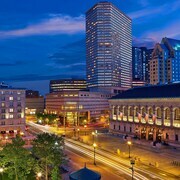 Explore Boston with Expedia.com.au’s Travel Guides to find the best flights, cars, holiday packages and more!